The Health Care Home is a model that provides patient-centred care and is proving popular with clinicians throughout New Zealand. It is a nationwide General Practice model that supports primary care to deliver a better patient experience, improved quality of care, proven benefits for clinicians and greater practice efficiency. It involves changing the way things are done to improve access for patients and to keep general practice sustainable, through a process of continuous improvement. It’s being introduced in primary care across New Zealand by the National Health Care Home Collaborative. Current members of the Collaborative include Pegasus Health, Tū Ora Compass Health, Capital & Coast DHB, Wairarapa DHB, Ora Toa Health Services, Central PHO, Pinnacle, ProCare, Northland DHB, Manaia Health and Te Tai Tokerau, Hutt Valley DHB, Te Awakairangi, Cosine PHO, Nelson Marlborough DHB, Marlborough PHO, Nelson Bays Primary Health, WellSouth Primary Health Network, Southern DHB, Hawkes Bay Health, and Eastern and Western Bay of Plenty PHOs, with national supporting organisations the Royal NZ College of General Practitioners (RNZCGP), GPNZ and the DHB partners. As of February 2019, there are over 1 million patients across New Zealand enrolled in practices that have embarked on the Health Care Home journey, and 154 practices are now using some or all of the Health Care Home model of care. Improved business efficiency and sustainability. After seeing the positive differences that Health Care Home has made for general practice elsewhere in the country, Pegasus Health is now embarking on a staged and supported introduction of the model. What are the benefits to becoming a Health Care Home? The Health Care Home model was developed in response to the increasing need to change the way general practice is provided. Drivers included the ageing workforce and predicted shortages of GPs, increasing rates of preventable chronic conditions, and increasing demand. Staff prefer working in the Health Care Home model of general practice than the more traditional model, once through the initial implementation period. Opportunities to create new roles including; healthcare assistants, clinical pharmacists, and social and community workers, which has incre ased team-based care and reduced heavy reliance on GPs. This has resulted in significant increases in business efficiency and release of clinician time through Health Care Home processes. Time with patients is more planned and more proactive. Anecdotally, the model has supported GPs to stay in practice and reinvigorated their approach to work. Ease of access to information, enabling enhanced patient care. Better use of time with GP team. More ways to communicate with a general practice. Proactive care designed to keep patients well. Access to a patient portal. What is the research behind Health Care Home? 62% of requests for care by telephone managed without needing a visit that day. Clinicians having time to focus on patients with longer-term conditions. 12 times more people accessing patient portals. A 14% decrease in overall ED presentations, including a 24% decrease for Maori. A 32% decrease in ED presentation for over 65s. 20% fewer ambulatory sensitive hospital admissions. The findings suggest that a significant proportion of acute need is being prevented or successfully dealt with out of hospital by Health Care Home practices. Do all Pegasus practices have to become a Health Care Home? No, but we will support all practices that wish to move in the direction of continuous improvement. Will it cost to become a Health Care Home? There is no fee to enter the Health Care Home programme, but there is a time investment required by practice staff. Will we need a new building or changed facilities to be a Health Care Home? No – the Health Care Home can be implemented in your current practice building. Does the whole practice team have to be involved? Yes – the Health Care Home programme works when the entire practice is involved. Is Health Care Home certification like the Cornerstone process? There is no cost to do it. It is not an accreditation process. Some of the evidence could be used to meet Health Care Home criteria. To contact one of the Health Care Home team at Pegasus Health, to find out more or to arrange for one of the team to talk to you, email hchinfo@pegasus.org.nz or call us on 03 379 1739. Pinnacle Health based in the North Island, has a Health Care Home website with many useful resources including brochures about Health Care Home. 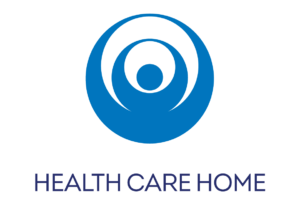 Compass Health, based in the Wellington area, has a section of its website about Health Care Home.